An orangery (or orangerie), was traditionally a room or building on the grounds of fashionable residences in the 17th to 19th centuries where orange and other fruit trees were protected during the winter, similar to a greenhouse or conservatory. An orangery today is a comfortable room with a brick base and large tall windows, typically with less than 75% of the roof glazed, and featuring a roof lantern to let natural light in. As orangeries became more popular they started to become more influenced by garden designers and architects, with opening windows in the roofs for ventilation and underfloor heating. This added a modern touch, converting the space into a comfortable garden room or glass extension. Our orangeries come in all shapes and sizes, with so many bespoke options available. We can create the right orangery to match the style of your home. Our products follow the same classic style but use our double glazed windows to take advantage of the latest insulation technologies. 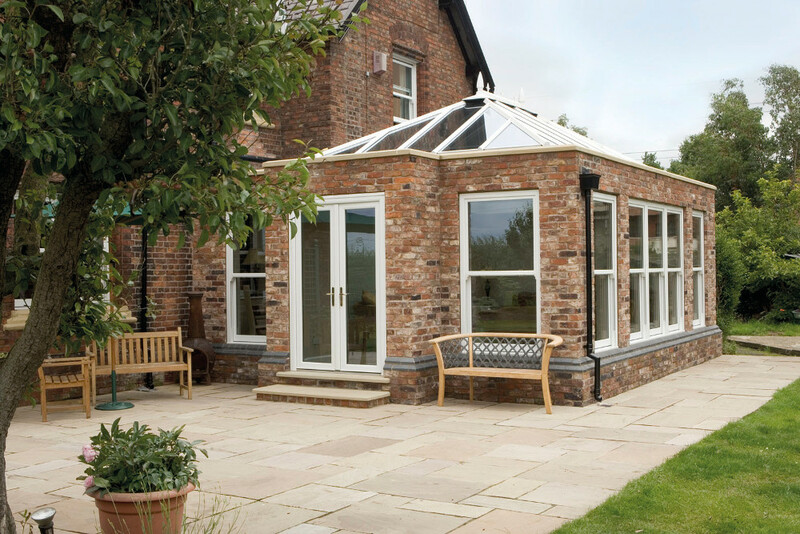 Take a look at our range of orangeries below. Decide which style, colour and type is best for your property. All our products are available in a range of materials and finishes and you can contact us at any time for help and further information. 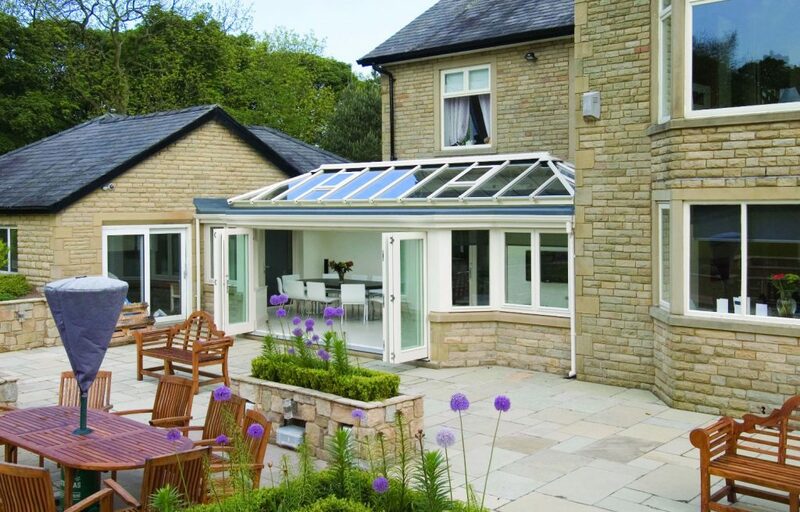 Orangeries add space and value to your home. There is a choice of designs and roof types, making your orangery a tranquil haven that connects your home with your outdoor spaces. It will provide a relaxing area with natural light. The all-year-round benefits of an orangery means it often becomes the most used room in the house. The security our orangeries offer is just as important as their appearance and overall quality. Our doors and windows have effective multi-point locking systems, key-locking handles and window security devices all as standard. They incorporate a unique reinforced wall frame that provide unrivalled levels of security, and we install toughened glass as standard for added peace of mind. An orangery provides Renaissance grandeur and many people regard it as being the ultimate conservatory – well on the way to being a proper extension, in fact. 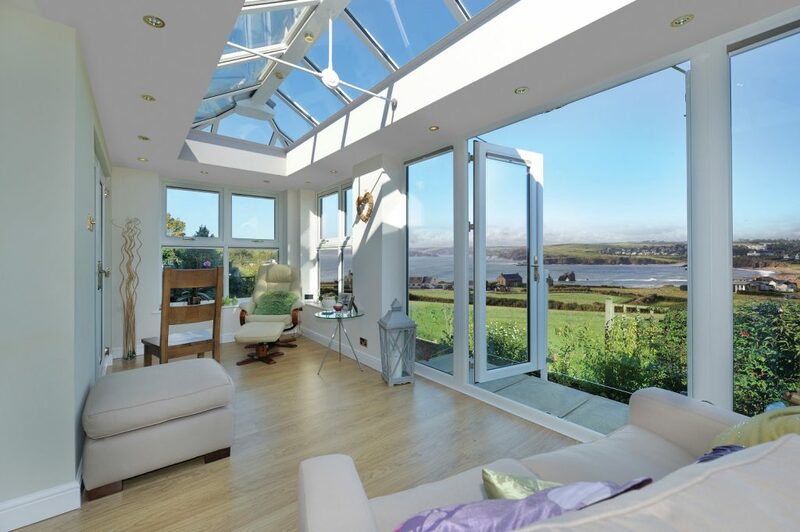 It can have the feel of a being a normal room with large windows and a stunning lantern roof. Complete with ornate roof detail, this large structure allows sophisticated perimeter lighting. 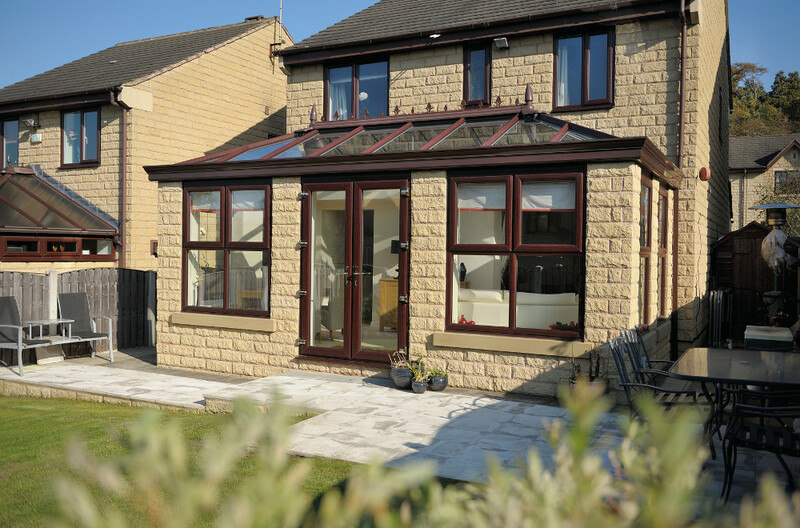 We will tailor its design for your property, and our wide range of doors, windows and other optional extras will leave you with an amazing conservatory that is unique to your home. The quality of our conservatories is second to none, and one of our orangeries will offer you years of enjoyment. Fully guaranteed and built to last, an addition such as this is likely to add significantly to the value of your home, meaning you’ll enjoy its benefits even if you move to pastures new one day.